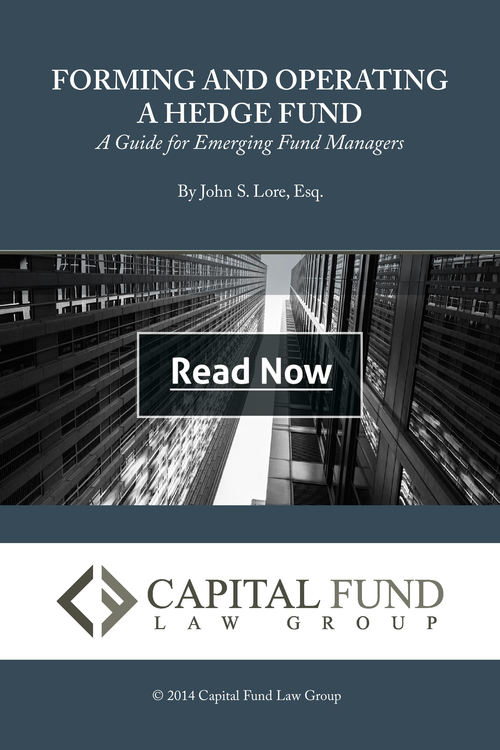 Capital Fund Law Group advises emerging and established hedge fund managers on all aspects of fund formation and ongoing operations. Our attorneys have spent their legal careers structuring domestic and offshore hedge funds in a wide variety of asset classes and investment strategies. Our investment fund legal services include start-to-finish counsel with all aspects of launching a domestic or offshore hedge fund. Our offshore fund services include structuring the offering terms, working with offshore counsel to prepare the disclosure documents and agreements and required offshore formation and filing documents. 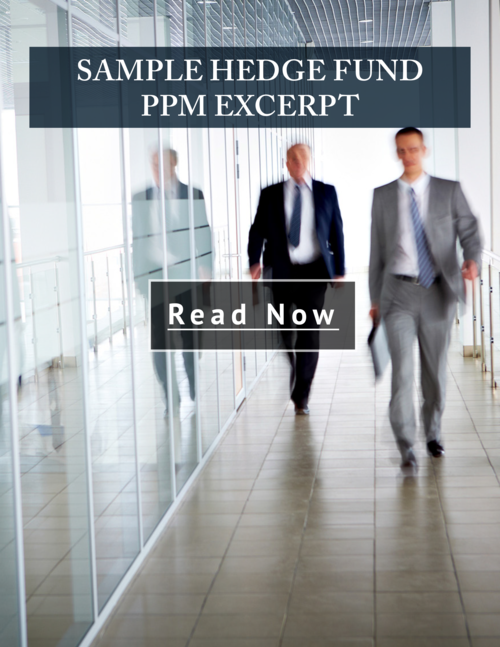 We have authored numerous industry publications, including eBooks, white papers, sample PPM document excerpts and blog posts dedicated to helping emerging managers understand various aspects of forming hedge funds and other alternative funds (scroll below to read or download). Our firm has been quoted on securities law topics in some of the nation’s leading financial publications, including Forbes, Entrepreneur, and Business. Capital Fund Law Group was recognized for its exceptional investment fund legal expertise by Wealth and Finance International Magazine’s Alternative Investment Awards in 2014 and 2015. Call (212) 203 - 4300 or email us to schedule a complimentary consultation with one of our attorneys to discuss the legal structure, regulatory requirements, timeline and costs involved in forming a hedge fund. We will also be happy to answer any questions you have about launching your fund. properly securing appropriate securities registration exemptions. The PPM is based on a fictitious master-feeder hedge fund using a global fixed-income arbitrage strategy. 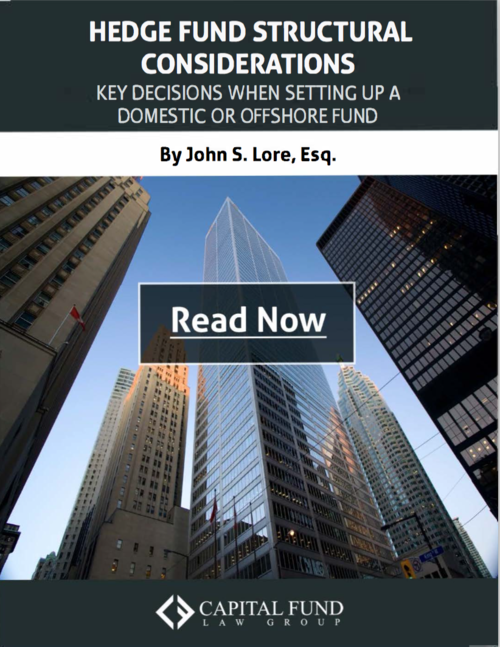 The accompanying explanations discuss the reasons behind certain disclosure language as well as a more detailed examination of certain fund topics and how they apply to the disclosure document. Emerging hedge fund managers face a labyrinth of regulatory and tax considerations, investor reporting requirements, and business operation issues. Managers must also balance investor relationships, capital raising, developing their investment strategies, and a myriad of other roles. Operating a hedge fund entails significant legal exposure, with substantial liability for improper disclosure. Even inadvertent mistakes can lead to substantial personal liability. The structure of a hedge fund is dependent on a number of tax, regulatory, and financial considerations. Fund structure is also driven in large part by the fund’s strategy, such as the degree of liquidity of the portfolio investments. The fund structure should be developed based on careful and thorough analysis with the assistance of an experienced fund attorney.